It’s hard to evaluate Personal Injury Lawyers. Anyone with money can buy a TV commercial or have a fancy website. How do you know if you have the right Personal Injury Lawyer representing you? One way is credentials, including whether or not the lawyer has the required experience and has undergone the screening process to become Board Certified in Civil Trial Law by the National Board of Trial Advocacy. Frankly, Board Certification is a challenging process. It involves proving substantial Trial Experience, having Peer Reviews from Judges and other Lawyers, passing a Written Examination and having a Writing Sample reviewed. Board Certification also requires proof of a strong ethics record. NBTA strives to inform and educate the public about the importance of legal representation by board-cerfified specialists. Additionally, the organization works to recognize and promote excellence in legal advocacy through a national program that certifies specialists, predicated on high standards of demonstrated competence and integrity. With less than 4% of all practicing lawyers certified by and ABA-accredited or state-sponsored certification board, board certification is not only highly important to the profession of law but also paramount to consumer protection. In so doing, it differentiates such attorneys for having objectively established their specialized proficiency in the practice of law. Tim Rayne is extremely proud to be one of only a few lawyers in Chester County, Pennsylvania to be Board Certified in Civil Trial Law. 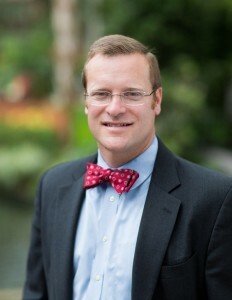 In addition to his Board Certification, Tim Rayne also earned a Masters Degree in Trial Advocacy from the Temple University Beasley School of Law and has been named a Top 100 Lawyer in Pennsylvania by Super Lawyers. Tim has law offices in Kennett Square and West Chester, Pennsylvania where, for over 20 years, he has been helping accident victims receive fair treatment from insurance companies.